Just as at the time that we thought we have seen it all at the just concluded CES 2018 (Consumer Electronics Show 2018), then another mind blowing stuff just sprung out of the blue. But thank heavens technology has literally gotten to every aspect of our daily lives, and the bedroom is not an exception. 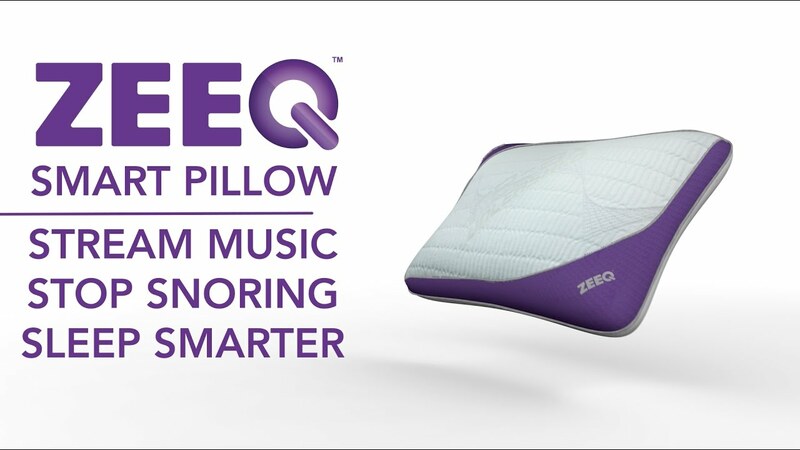 Say hello to the newest pillow in town, the Zeeq Smart Pillow, produced by a company called REM-Fit, and was officially unveiled at the just concluded Consumer Electronics Show event. REM-Fit is a tech company that are more concerned about your sleep, and are always looking for new ways to improve it. They deal on producing mattresses, pillows and sleeping equipment. You can read more about them, by following the provided link above. Now don't just sit down there and stare at my pillow just like that, because this pillow, is far more beyond what you're used to seeing.. this is an intelligent pillow, this pillow is meant for those who can't take a seconds break off tech. If you've had a hard time sleeping, this pillow for you, if you are the dreaded snoring type, make sure you get one for yourself after reading this article, and we'll tell you why we said so. Features Of The Zeeq Smart Pillow. First of all, it will pay you to know that the smart pilow comes in four different variations, there is the latest standard Zeeq Smart Pillow that has all three features that will be listed shortly, combined together. 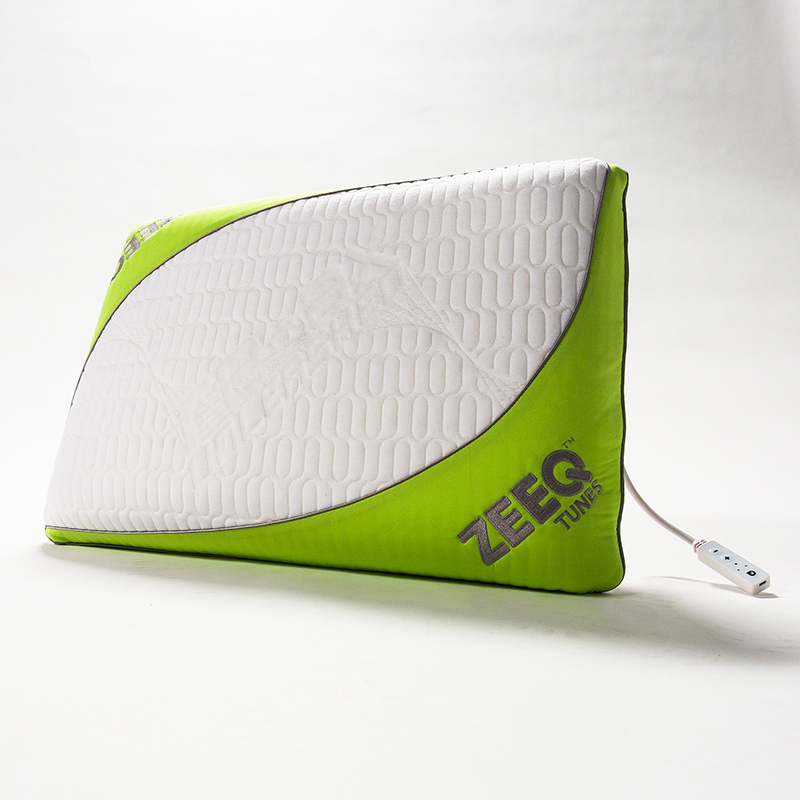 Then there is the Zeeq Tunes Pillow, the Zeeq Snore Pillow, and the Tracker Pillow. The tunes pillow is an intelligent pillow, which is specifically designed for those who always have a hard time falling alseep. The pillow is equipped with eight speakers, that are placed strategically throughout the pillow, which plays any song of the user's choice, it can be used to listen to audio books, and do anything that has to with audio, via a connected smartphone, and according to REM-Fit, only the user is able to hear the sounds produced by this pillow. cool right? see the next one.. The Snore pillow is able to detect when the user is snoring, and gives off a gentle vibration, which in turn, makes the user to change position, thereby reducing snoring... awesome.. 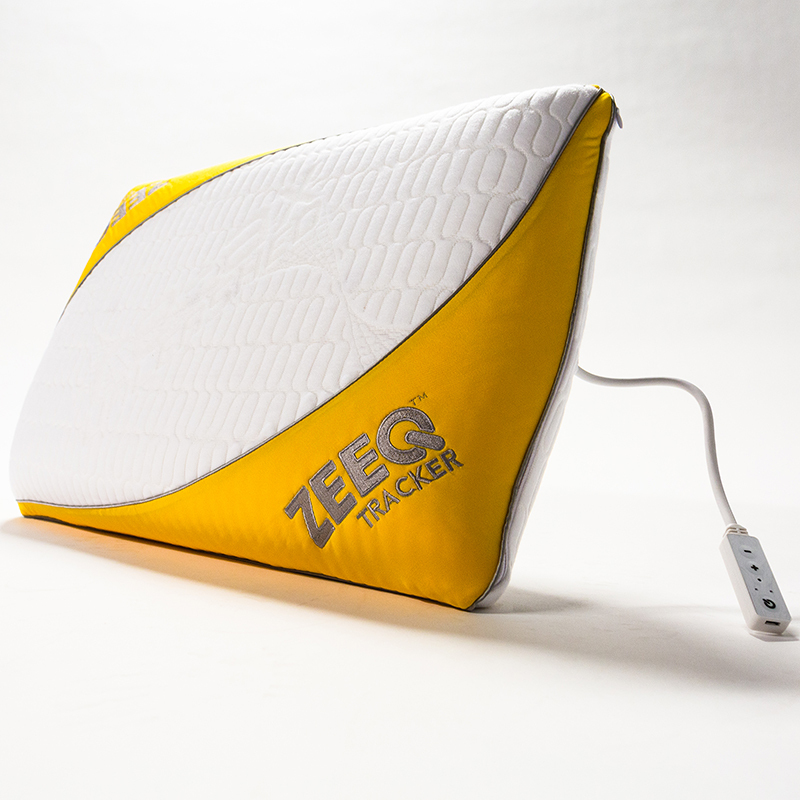 The tracker pillow is loaded with sensors all over, that tracks and let's users monitor how they sleep, while making use of the Zeeq Analytics app which is available on Google Play Store. This app in turn gives users useful suggestions on how to improve their sleep. Other Features Of The Pillow. The pillow comes with an intelligent alarm system that wakes the user up from sleep, when a set time is reached. It also comes with a smart timer, that automatically turns off the music or audio, when the user has fallen asleep. It had its own on-board music controls to help pause, reduce or increase volume, when your smartphone is not close by. The Zeeq smart pillow comes with a couple of its own downside too. First is that, it needs to be charged at least once every two weeks, and second is that, it must be connected to a Wi-Fi network.. The Zeeq Smart Pillow is currently on sale at a price of $200 at their Official Online Store, or you can as well get yours from BestBuy Online Store. 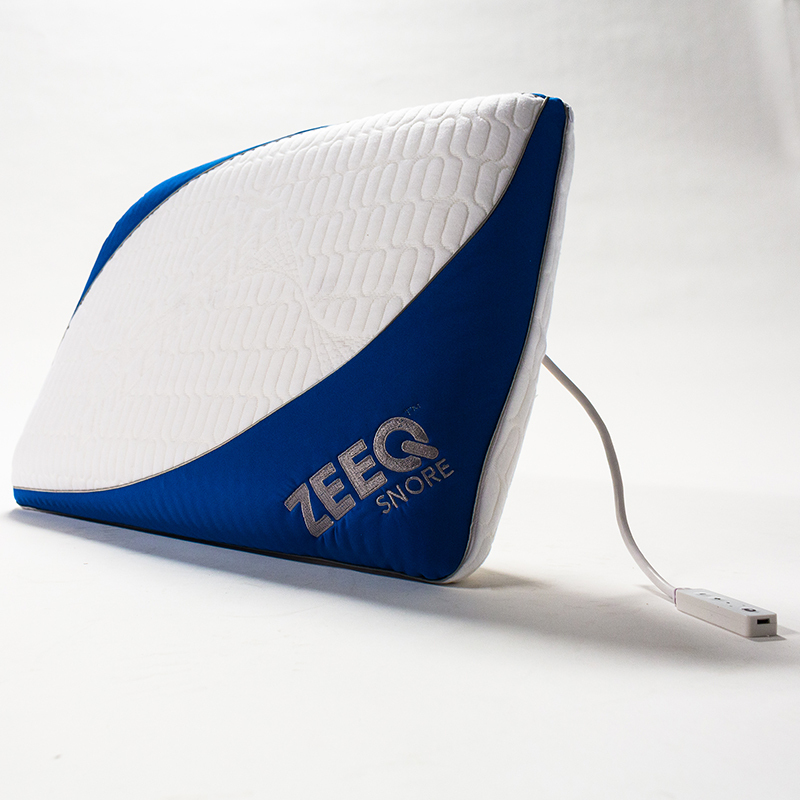 So guys, that is it for the Zeeq smart pillow. With all those stuffs written above, i think the Zeeq Smart Pillow has come to set a new and better standard for pillows in our world today. The zeeq smart pillow has come to change and improve the way we sleep, this pillow, will change the future of sleeps in our society today, so make sure you get one for yourself today.. But in the meantime, let us know what y'all think about the Zeeq Smart Pillow, and don't forget to share this article, and subscribe to our newsletter too.. Thank You Larry B.. i really appreciate your kind words.